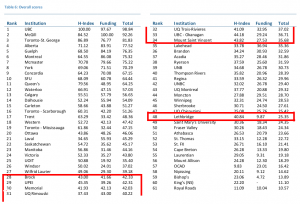 ← In a rich man’s world: Global DH? 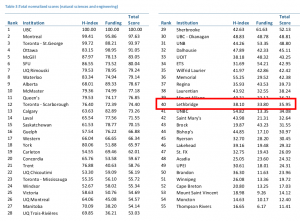 What this shows is that the University of Lethbridge is on the whole a middle-ranked institution when it comes to impact scores and funding success. 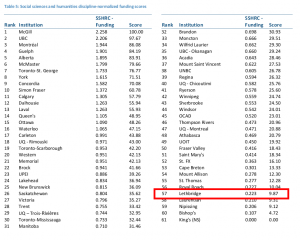 In the Natural Sciences, it comes in at 42 (out of 55) in terms of its H-Index score; and 38 (also out of 55) in terms of its funding, giving it a rank of 40 over all. 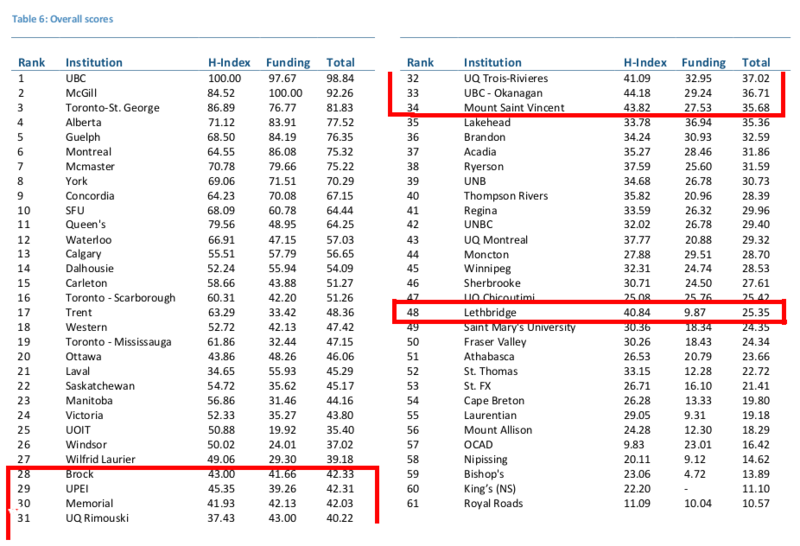 The real surprise, however, is the University’s HSS funding score: 57/61 institutions, or fourth-last place. 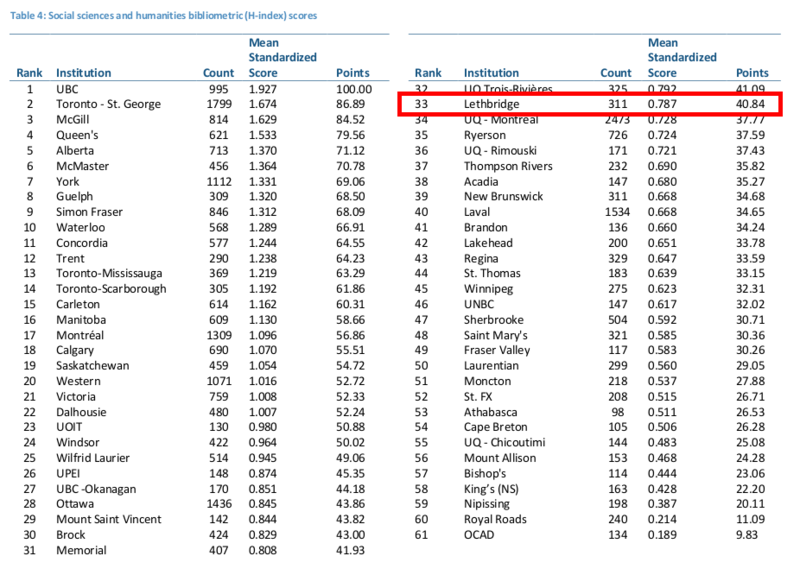 The only places that did worse were Laurentian, Nipissing, and Bishops. 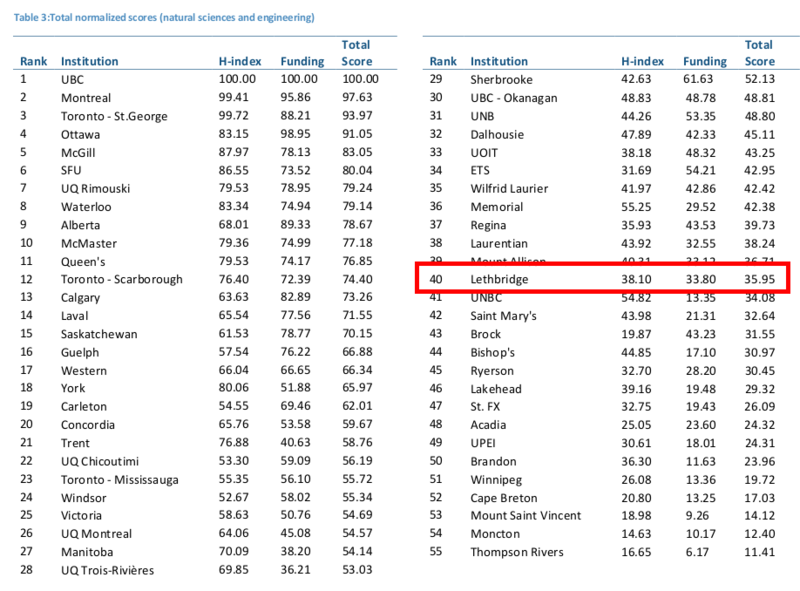 Oh yes, and King’s (NS) which had no funding at all. There are two bright spots in this cloud. 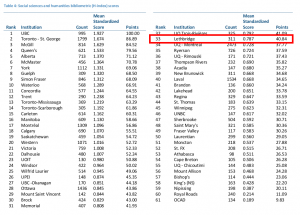 The first is that the scores are not reversed. 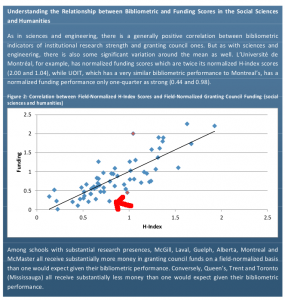 It is easier to hold your head high if you are achieving higher impact for less money than if you are pulling in more money than your impact deserves. 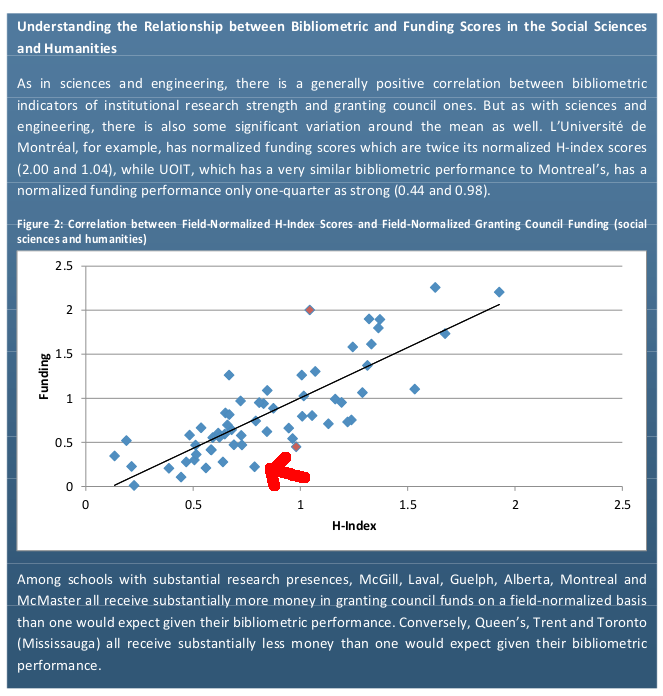 The second is that our relatively poor funding success is such an outlier that it must be amenable to improvement: given that our impact is about the middle of the pack, the problem is not poor quality research, it is that our research is not being showcased in a way that is bringing in the funding other institutions suggest it should achieve. And that is a question of improving grantsmanship and the way we show ourselves to the world.